"I learned from my grandparents and parents the importance and lasting impact of supporting the community where we live and work. From the founding of Deliso Financial and Insurance Services, my mission has been to help others understand and live a financially successful life, thereby being better positioned to serve their families and their community." Jean M Deliso, CFP® is President/Owner of Deliso Financial and Insurance Services, a firm focusing in comprehensive financial strategies that help position clients for a solid financial future. Her extensive experience has led to a focus in certain fields, such as cash management, risk management, investment planning and financial preparation for retirement as well as times of transition such as divorce or widowhood. Jean is committed to educating individuals about their finances and frequently conducts workshops for women advocating financial empowerment. Jean has been working in the financial field for thirty years; her first seven in public accounting and the balance working in the financial services industry. She is a graduate of Bentley College. Jean has been a member of New York Life Chairman’s Council since 2012 and a Qualifying Member of the Million Dollar Round Table* since 1999. Members of the elite Chairman’s Council rank in the top three percent of New York Life’s elite sales force of more than 12,000 licensed agents in sales achievement. 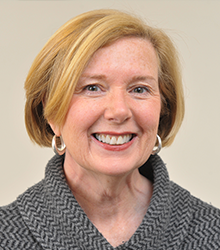 Jean currently serves on and is the immediate past Chairman of the Board of The Baystate Health Foundation. She also serves on and is the immediate past Chairman of the Board of the Community Music School of Springfield and the past Chairman of the Board of the YMCA of Greater Springfield. In addition, she is a past board member of Pioneer Valley Refrigerated Warehouse along with past trustee of the Community Foundation of Western Massachusetts and Bay Path College Advisory Board. She is a supporting member of the National Association of Life Underwriters and The Hampden County Estate Planning Council. Judy has served as Customer Service Director since joining the company in 2007. In that capacity she is responsible for all day-to-day customer service needs. Her attention to detail, as well as her follow through skills and professional demeanor has earned the confidence of all clients as their needs are met efficiently and effectively. Prior to joining Deliso, Judy was Vice President of a leading lingerie company in New York City. She was instrumental in growing that company substantially over her 25-year tenure where she managed several departments and traveled extensively. She returned to her Western Massachusetts roots in 2001 where she spent a few years volunteering for two main causes; underprivileged children and animals. In 2007, Jean recruited Judy to Deliso Financial & Insurance Services where she quickly became instrumental in the growth of the business over the past several years. Judy is a graduate of the University of Massachusetts and lives in Longmeadow. She currently volunteers with her dog as a pet therapist at Weldon Rehabilitation Center. She has volunteered at the MSPCA, Brightside for Families and Children, Canine Companions for Independence as well as Yankee Golden Retriever Rescue. She also enjoys traveling. 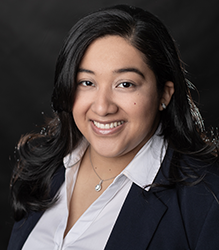 Christina joins Deliso with 8 years of experience in the financial services field, where her concentration has been on client relationships, retirement planning and education. In her role she works to assist in developing financial strategies for all clients. Christina relocated back to Springfield after spending a few years in Colorado, she grew up in New York City but Christina considers Springfield her home. She is a graduate of Springfield Central High School and Westfield State University. She currently lives in Springfield with her husband and two dogs. She enjoys traveling, and spending time with family and friends. New York Life's Advanced Planning Group collectively leverages years of practical experience as lawyers, accountants and financial service providers to offer New York Life agents unparalleled assistance in estate, business, and life insurance planning. Because the Advanced Planning Group supports agents who have a nationwide clientele, the group has insight consulting on estate and business plans at all levels of wealth across all 50 states. The Advanced Planning Group is called to action to advise on hundreds of business and estate plans each year; and that means Jean M. Deliso can bring experience, value and insight to your planning situation. New York Life's Advanced Planning Group does not provide legal or tax advice. Through Eagle Strategies, Jean M. Deliso provides fee-based financial planning, investment advisory services and access to investment management programs. Eagle Strategies LLC is registered with the Securities and Exchange Commission as an "Investment Adviser" and is an indirect, wholly-owned subsidiary of New York Life. Jean M. Deliso and her fellow financial professionals are proud to be affiliated with New York Life Insurance Company. New York Life and its wholly-owned subsidiaries provide life insurance, annuities, long-term care insurance, and mutual funds. A mutual insurance company, New York Life is the largest mutual life insurance company in the United States* and holds the highest possible financial strength ratings currently awarded to any life insurer from all four of the major credit rating agencies: A.M. Best (A++), Fitch (AAA), Moody’s Investor Service (Aaa), Standard & Poor’s (AA+). (Source: Individual Third Party Rating Report as of 8/1/2017). All ratings are the highest offered by the rating agency, except for Standard & Poor’s which is their second highest rating but represents the highest rating currently awarded to any life insurer. At Deliso Financial and Insurance Services, we work with attorneys, accountants, trust officers and other financial advisors to better serve the needs of our clients. 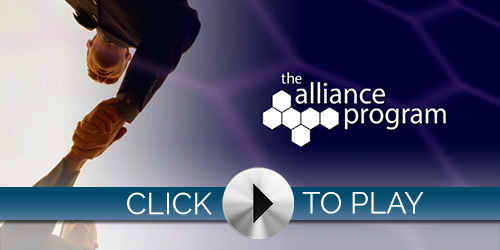 This collaborative approach gives our clients the most comprehensive service available. Neither Jean Deliso, nor any of the companies noted above provide tax, legal or accounting advice. Please consult your own tax, legal or accounting professional regarding your particular situation.